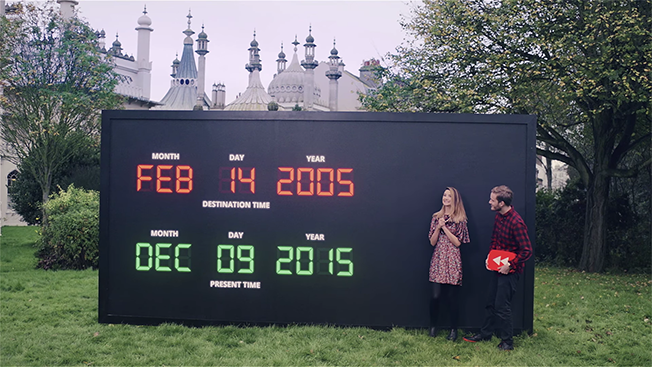 YouTube debuted its annual Rewind video today, a project that has been in the works since July. Within an hour it had been viewed more than 600,000 times and was the top trending topic on Twitter. The theme of the dance-filled, star-driven, five-minute video is "Rewind Replay." YouTube gathered more than 150 creators from all over the world to relive not just the best moments of 2015, but some of the most memorable viral clips from the first 10 years of YouTube. The video also features dozens of references to 2015 highlights, including Ball Pit Prank and Pizza Rat and includes cameos from late night hosts John Oliver and James Corden, musicians T-Pain and Omi, and model Karlie Kloss.